by The World Syndicalist Republics of Silver Commonwealth. 252 days ago . 357 reads. Silverheart: a heart made from silver, with golden and blue stripe ribbon. After the two states collapsed, and a new period of chaos began, it was soon found out, that FAE's army was nowhere ready to face it- its soldiers were made for regulated ''battles'', not true warfare. So, the organization of army, and morale was endangered, and it almost fell to an insurgency. However, FAE was able to save itself, by implementing radical army reforms- brand new, talented commanders were recruited, army command became more decentralized, so certain divisions could give orders to themselves, if they see something, that commanders from the HQ don't, and army underwent a brand new training course. FAE's army also was given the newest weapons, that were in its hands. Thanks to that, FAE managed to survive until now as Silver Commonwealth. During the Scramble of the World, its armies swarmed over the former disputed zone, and superstate territories, often grabbing any technology, that they found ''valuable''. Conscription usually was began almost just a few hours after arriving in a new region, and SC actively recruited scientists from both RNGOC, and Russian Empire, to help with new technologies, and eventually - Race for the Space, as some of politicians call the new SC's space program. Due of power vacuum in territories of other former two superstates, it is constantly filled with conflict, and it has been very close to escalating over Commonwealth's borders. That said, FAE managed to seal borders within last few minutes, before it was too late, quite literally. For now, nothing much has changed in the regions. However, border regions are a total mess- both armed locals, and soldiers from former superstates are clashing with border guards. And although border guards have a better technology, they can't eliminate the threat completely, as disputed zone is just too large. Speaking of military, Regions have more responsibility to maintain their own military, because FAE has delegated most of the Commonwealth's border protection to Regions themselves, and mostly defends its rump territory. It still gives advice, equipment, and soldiers, but it has demanded regions to spend way more funds for army. Some say, that it is a price for decentralization. Commonwealth's army also consists from UCN divisions- a force, who is similar to UN peacekeeper troops, and is generally used to enforce order and law in dangerous places, and/or participate in the war. They are mostly deployed in places like South Africa, and borders of the Frontiers, but they can be deployed practically anywhere on the Earth's surface. Although troops are diverse, their divisions are mostly separated by ethnicity. Each autonomy also has a militarized police force, which uniforms, and weapons wary, depending on location. However, European police also has more general uniforms as well, which are used for peacekeepers. They can be distinguished by the 12 star insignia on both of their unifrom shoulders. (Regional officers usually have a 12 star insignia on their left uniform shoulder, but on their right uniform shoulder - a symbol of the party, which is governing a certain region). There are securitrons as well, and even power armor, but that is reserved for military police, or serious situations. When dealing with unrest, geographic location is usually taken in consideration. For an example, if operation takes place in Saharan desert, local Tuareg divisions will most likely be sent in, as they know terrain the best. If it happens in Mongolian steppes, Mongol units will be sent in instead. Of course, it also applies for conventional military operations, although war, which Commonwealth now wages, can hardly be called as ''conventional'' war. There is also a lot of tension between the states of Commonwealth themselves, as their ideology has rarely been focused on peace, so FAE often performs wargames, or paintball games, where soldiers of two frontiers fight with each other, to get the steam out. Games like World of Tanks are also used for that, and there are tanks of 13 Regions in total. Still, tension remains high. Soldiers are typically taught to prioritize the interest of the Commonwealth as a whole, not just their own region. It mostly uses ''Superior firepower'' doctrine, alongside with ''mass assault''. In past, it performed frontal attacks more, but now it has mostly resorted to ''Search and destroy'' operations, because now it mostly has to fight with armed groups, not states themselves. Also, sometimes when there is no one else to fight, regional armies fight with either themselves, or neighbor country units. In past, Commonwealth's army was infamous for failed operations, and large amounts of human losses. However, after moving to PMT, and reforms in Commonwealth's army, performance has improved greatly, and now loses have been greatly reduced. If soldiers are cut off from the rest of division, or paradrop behind enemy lines, they are supplied with supply crates. Each color shows, what equipment is in the crate. Speaking of Research, SC usually researches many military stuff - from power armor, to weapons. Exo-skeleton models are also available, albeit in early stages. There usually are state megacorps, and state institutes, which specialize in producing a group of weapons, or armor. Their CEOs are usually either retired army generals, or politicians with power, and ties within the state. SC also has an impressive WMD, and nuke arsenal - most of the launching pads, and silos are located in western coast, as they were the closest to the other two superpowers there. Meanwhile, there were less airbases on the Eastern Coast, and more suited for defense, as SC's outpost in Britain gave a good angle to launch rockets from. At their spare time, SC's scientists improve old tank designs, like Bob Semple tank, and Tiger, and try to adopt them to more modern versions. Modern variants have already proven to be quite useful. Nowadays, there are fewer restrictions on military and medical experiments, so some of them are very inhumane. In fact, SC has abolished Geneva convention in its world as well, so weapons like dum-dum bullets are still used by i, so when regions have an infighting with each other, those fights often turn violent quickly. Also, it is rumored, that Rockies have an excessive stockpile of chemical weapons. In Baja California, SC experimented with a new type of a satellite - laser blast satellite, which would be able to destroy enemy objects from atmosphere with a help from laser beam. As it was tested in Baja California, it earned a nickname ''Project Baja''. In Baja, army usually experimented with other weapons as well, and even holograms. However, hologram project hasn't been very successful so far. Supersoldier project has been more successful - experiments have shown an increase in muscle size, and strength. However, intelligence of the soldiers has been reduced at the same time as well - of course, they aren't zombies, but still below average. However, they are planned to be deployed in pacification of dangeous regions, and fight with aliens. They look about like this. It also has researched chemicals for possible usage in future space warfare, similar to the Cloud from Fallout NV. (There, even SC places line, however - its army states, that ''cloud can't be used against other humans, and machines'' - one of the few rules, that SC's army enforces for itself. Still, it is also ready to apply ''exceptions''.) Other experiments involved potential creation of SCP creatures, or even a creature like the Master from Fallout 1, or ghost people from Fallout NV. It also has examined other creatures from power plants like Chernobyl, where some radiation leaked into environment after the two superstate collapse, as plants were terribly built. Institutions similar to Big MT also participated in the experiments, as they were not bound by moral, and ethical norms there. Military experiments also simulate conditions on other planets, in order to train soldiers for potential space warfare, and to examine the changes in body, when in different environments. For some regions, like Great Lakes in America, and Namibia in South Africa, main focus is exactly the military research. However, unlike in the Great Lakes, where scientists and researchers particularly run the region, researchers in Namibia don't run the region, but just have a large influence in it instead - it is overseen by Renier's government. With the help from German scientists, which were rescued from former territories of Russian Empire, and which had also worked on Homo Novus project, Renier was able to create its own, South African power armor - Model Leeu-MK I, which means ''Lion''. Of course, it is not as powerful as power armor produced by Eastern Colombia, or Pacifica. Still, in places like Congo, it is a pretty expensive, yet powerful gift, as it shows the wearer's rich wallet/contacts, as maintaining the armor in Africa is expensive, and it can be only achieved from either Renier, Tom, or South African rmy. So, power armor there often is a privelege of regional governors, and few high-ranked military officers. Most of the African divisions actually still uses RPGs, pistols, machine guns, or even machetes, due of the low supply of technology in disputed zone. Of course, situation with women in military has improved a lot, especially in Pacifica, if compared to 50s, when W.D.P. was still alive. Still, there is a lot to do, especially in regions such as Rockies and Trinity. I have a feel, that most of the conservative wing supporters have moved there, and catch to progress later than others. Also, our society in general is still extremely conservative, and social reforms yet have to come - previous reforms really only touched economics, army, and government itself. Ohh, and public works as an addition, so they wouldn't be completely shallow. Army of Rockies has a parity of strength with their northern neighbors in Trinity. In fact, it could be said, that they share the same level tech, although their cultural aspects are different. They are on similar levels with farmer protection militias in the Midwest, and Texan Cowboys in the Lone Star (Although they dress like Cowboys, their uniforms are more suited for warfare). However, it has a deep disadvantage in terms of technology against Pacifica, which has one from the best power armor available. Soldiers of Rockies also have bazookas as one of the favorite weapons, which they tend to use often. One from things, that soldiers from Rockies learn at first, is melee fighting, and only then they receive weapons. They are also trained with sniper rifles, and are masters of using artillery. However, their tech in some ways still resembles cold war tech, so they are one from the most primitive regional factions. Exceptions are the laser guns, which are available for a few divisions. Later on, soldiers learn the tactics of war. Every soldier must learn at least basics. Extended tactics are taught for generals, and other high ranked personnel - those are usually the ones, which performed in base tests the best. However, risk of corruption is not out of question. Pledge of allegiance is also obligatory. Although there is conscription, Commonwealth usually gets so many volunteers, that it doesn't even need to conscript people, at least for a while. Age limit is still from 18, to 65 years, but conditions of soldiers have been improved a bit. Still, they remain sh*tty. In fact, Army has started to recruit many women in its ranks, particularly pilots. Still, army remains pretty conservative. Training also remains quite harsh, and is often way more harsher than the actual battlefield. There are indigenous people divisions as well (Sioux, Mapuche, Inuit, etc), but they often have worse equipment than most of the other divisions. For an example, SC's recruited Tuareg techno-tribals are way better armed, and are actually a serious opponent for SC's troops. They still prefer to use camel cavalry, and use ''hit and run'' tactics, moving through the desert. While in America, unit's mostly are based on local governor armies (Frumentarii, Brotherhood Knight), in Europe, they are based on ethnic basis instead. Smaller groups usually have only one division, but even smaller ones - only a regiment. In South Africa, most of the Afrikaner army is located in the south, and drafts natives as regulars as well. In the North, most of the native governors have their own armies. Some of them have scraps from SC's advanced equipment, while some still have outdated rifles from WW2. This might be just my personal opinion, but so far, I have seen, that Romanians are from the best soldiers, that we have available. We also get along with Belgians and Dutch as well. Irish and Serbs are good soldiers as well, but they are more defiant against Federation, and are like rebellious spirits. It will take time and nerves to work with them. French aren't that bad - in fact, one of our best commanders is a Frenchman. In fact, the most surprises today came from soldiers like Basque soldiers - we got only an one division with them, but they are performing very well. Personally, minority soldiers have left the best impression to me. Some of the soldiers have been sent to Antarctica as well, but they serve more as a caretakers there, instead of a guarding force, as Antarctica is still one from the most uninhabited SC's regions. Equipment now is way more PMTy, as soldiers are armed with laser rifles, and tanks- with laser turrets. However, ordinary populace still uses guns from 70s, or even WW2. It is kind of similar to dieselpunk. Still, SC is pretty much using whatever equipment and tactics are available, and it has adopted a lot of technology from its enemies - for an example, it uses punji sticks as well. Commonwealth has also achieved early orbital bombardment tactics- with spaceships, they can drop a nuke, or few on their selected targets. However, for now, Commonwealth hasn't mastered the full power of orbital bombardment yet, and for now, it is still cheaper to use planes for nuclear strikes. Ohh, and power armor is one from the Commonwealth's new inventions- similarly to Fallout, it works on nuclear power. However, quality of power armor is different- American power armor is usually considered to be the best in terms of materials, and durability. For example, Canadian power armor usually has worse quality, and can't protect from radiation as well as American one. Commonwealth also has achieved submarines, which can travel very fast underwater. However, they are still fairly slow, if compared to its other transports- for example, some from Commonwealth's tanks are powered by nuclear power now. Transistor technology is way weaker than in our timeline, so internet is still primitive. But it is not like, that Commonwealth needs it a lot anyway- it has enough with rudimentary operation systems, which are enough for managing infrastructure, and army operations. One of Commonwealth's priorities is a good armor. For soldiers in colder terrain, armor usually has thermal parts, which warm it up from inside. For soldiers in hot climates, it is exactly the opposite- special armor often makes heat more bearable. In both cases, armor is full with sensors, and displays, that can help soldiers to better communicate with each other. Usually soldiers wear jackboots. There are experimental ships researched for space warfare, but they are nowhere near completion. Small, floating droids are used both by SCPS, and army, mostly for information delivery. Currently, our biggest issues are supplies - European army currently is stretched out, and in peace time, such a large army is unnecessary. We will need to cut military budget at one point. Besides that, recently conscripted units from newly conquered regions don't make good soldiers, right? Training takes time, and not always we have enough time. If anything, we should invest in police force, and rangers - they could actually keep order, while we improve European army's capabilities - although some of its units are veterans, a lot of un-experienced recruits have flooded in recently. However, I am sure, that with enough time it can be transformed into a standing, professional army. Still, those old panzers are slow, clingy, and easy to destroy even with light AT guns. Empire had to heavily redesign them, in order to make something actually useful out of them, but those new models were actually worth it. Tom currently works on an another modified version for... Space warfare, I guess? Some magical abilities are available to soldiers, but they are mostly taught to learn to fight without them, as most of the situations can be solved without magic, and it is often used only in the most desperate cases. There are also no special magic divisions as well, so the skill of users of magic varies. Some of the guns also utilize magic, but it is not their primary ammunition. Government mostly uses dark magic, as it is more effective in attack, along with neutral magic, in order to not only attack enemy troops, but to also take out obstacles, and other buildings. It uses light magic only for healing mostly. Army commanders, on the other hand, have pretty strong magical abilities - some have even level 30. or level 45. magical abilities. In general, higher ups have better magical abilities, but even they use them rarely, as they are a valuable thing, and most of the things can be solved with a pistol anyway. Telekinesis is used as a way to transmit information without using walkie talkie, however. There are total 50 levels of users- from beginners, to master mages. It is fairly expensive, however, and pretty hard to control. So, it is cheaper to hand out guns to soldiers, than to train people to use magic. That is one of the reasons, why it is not particularly that popular in SC's society. That said, some people, like indigenous shamans, have contacted with the spirits, and often serve as an avatars of them to communicate with humans. However, spirits can only give advice, but can't really stop humans from their own madness. Creatures like cyclops, and Baba-Yaga are also rumored to exist, along with Waheela in the Northwest Canada. Are they real in SC's world? Who knows. However, as of lately, it seems, that some mythological beings are indeed real in SC's world. While things like Unicorns are still probably a fantasy, some more dark creatures might indeed be luring in SC's mountains, and forests. SC's army has already started to train special units, in order to confront those beings, as most of them are evil - a result of moral unbalance in SC's world. It hopes to even recruit some of those beasts in its army, to do its bidding. I think, that I just saw magic being used - I definitely saw a blue light coming out from a pistol, and it wasn't a laser pistol, I know that for about 100%! Even European armed forces were less of a surprise for me than those... magic guns. But if it is true, then why to not utilize it to its full extent? What is holding us back? Similarly to Commonwealth States, America's states have their own armies as well. Not all of them are equally strong and equally sized, however. Some of them barely it the definition of ''army'', while some others would be tough to beat for even the strongest other country soldiers. Soldiers often do physical exercises with rifles on their backs. For example, although Rockies spend a lot of money for military, it is not the best army from US state armies. Private militias are practically banned, and you can join only public ones. Despite their usage of Roman symbolism, and usage of Roman elements sometimes, soldiers from Rockies actually look like soldiers from 50s USA, except with kinda better rifles, and usage of securitrons, along with other advanced weaponry. (Basically Legion with securitrons. Rockies could perhaps regress to Legion's level over time.) However, veteran soldiers look different - rather similar to modern US marines, and carry a M-16 instead. Also, Mormons play large role in Rockies. Soldiers of Trinity, on the other hand, have similarly styled uniforms as Mongol WW2 uniforms (With some German elements), just without the Mongol symbolism. Although sombrero is a part of the Cowboy soldier uniform, it has a practical use as well - it protects from sun rays, which might possibly blind the soldier. Also. sombrero isn't nearly the most common hat used for uniforms, and sometimes soldiers just use their farm outfit as an uniform, because not everyone can afford necessary parts of it. Sometimes soldiers also participate in large cattle drives. Soldiers from the South often have gas masks as a part of their uniform - not only to protect them from gases, but also to give them a distinctive look. However, they mostly receive the same training as their northern counterparts. Also, they typically are taught to "Fight for the Union first", while keeping Southern cultural aspects. Pacifica specializes in power armor production, so it is logical, that most of divisions would use it. Although way fewer in numbers, if compared to other state armies, Pacifica's units are well trained, and can hold key positions. There are units in army, which don't use power armor, though. Those are way weaker, though, albeit larger in numbers, and are the ''meat'' of Pacifica's army. Similarly to the Great Lakes, is centered pretty much around science. However, ideological radicalism plays a bigger role in Pacifica instead, while Great Lakes are rather more pragmatic. Pacifica also has scribes, and although they more often work behind the front lines, they are good fighters too. They usually write down important technology blueprints on paper. Militias in the Midwest, and New England are quite different, actually - Midwest units are rather supposed to be farm guards, than an army force, and it is perhaps one from the weakest US state armies. While in New England, Paramilitaries kind of resemble a strong army, and could fight into a military conflict abroad as well. Still, power armor is not a common thing in both of them. East Columbia's soldiers, however, are one from the best soldiers from State armies - they have the best technologies available, even beating Pacifica's tech. In 1v1 battle, they could take out all factions one by one. However, if vastly outnumbered, even the tech wouldn't help them. East Colombia's power armor is similar to advanced power armor from Fallout 2. Also, both soldiers, and common populace are very nationalistic, with each Megastate developing their own unique fighting style. Silvershirts are often considered to be the most elite unit of the Commonwealth, and are often deployed only in cases, when regulars can't control the situation. First stages of training are usually the harshest, and most of the new candidates fail there. Usually, only a few hundred individuals manage to get far enough in training, to become members of this organization. However, it gives a big amount of prestige not only in America, but in the rest of Commonwealth too. Silvershirts are mostly armed with rapid-firing laser rifles, and laser pistols. However, they often have the best power armor, that is available in the Commonwealth- there is often a red Roman ''L'' painted on it too, as to symbolize allegiance to Silver Legion. Power armor also has an excellent protection from radiation, and can deflect even large rounds. However, some from the variants are powered by nuclear energy too. Those units were formed first in the early fifties, after the coup. At first, those were simply paramilitaries in scout uniforms, ww2 weapons, and designed rather to protect the leader, and officials, than to fight a war. However, eventually they were trained to become an elite fighting force- they received the best weapons and uniforms available, and conscripted only those, which fit the high psychological, and physical standards. Eventually, they got power armor too, and then they became a feared fighting force. If you saw them somewhere, you were sure, that they would keep law, and order. Although they didn't really engage in battles that much, they helped to consolidate the new territories, and fend off raider attacks. They also took part in ideological education. Those soldiers are often described as ''men with discipline from iron, and with a heart from iron''. They rarely retreat, and their missions are often organized. They are also very pedantic, when it comes to spending rounds- usually they calculate the minimal amount of bullets needed for operation, or suppressing the revolt. They also try to cover as much land as possible with as few soldiers as possible. Some of them have worked in commander room, before training with guns. Those units in many ways reflect their southern counterparts- Silvershirts. Their training is similarly harsh, and weapons are relatively good, if compared to some other Commonwealth states, and they are just as radical ideologically. Their units are very similar, just like inhabitants two Commonwealth states in general. However, their temperament is usually calmer, and their power armor still has worse quality than American one. Blueshirts are mostly armed with bolt action laser rifles, and most of them are skilled snipers. Also, due of Canada's relatively low population, Blueshirts are taught to try to have as low losses as possible, and use ambush tactics instead. They also have something similar to a taser pistol, however, unlike normal taser pistol, this one is deadly. However, this pistol is only given in war time scenario- in peace time, they have to use the normal taser pistol. Although they existed for a long time before FAE's takeover, they became a respected fighting force only recently- for most of the time, they were rather a group of radicals with guns, who lacked discipline, and mostly left all the job to the regular army. For a long time, they were a bit more than rednecks with guns. However, with the radical reforms implemented by the army, Blueshirts soon improved, and received many good weapons. Soon they were called as just as good as their ''southern brothers'' Silvershirts- new governor Raymond had made a very skilled paramilitary. They were often deployed as oil well guards, and police officers, and didn't participate in battles that often, though. Blueshirts often train in places like Greater North, and Northwest, where terrain is usually harsh, and doing so, Blueshirts become very hardened. Even an old Blueshirt is still a challenge to deal with. However, they sometimes lack discipline, and sometimes pull off strategical mistakes. Most of them are also good in fight without any weapons, and just bare fists. They have often been compared to their neighbors in the north, but in this case, they certainly lag behind, as their armor has low, if any protection from radiation, and certainly can't match with power armor. Despite that, they still have mastered their skills. Central American soldiers are mostly armed with variants of laser pump shotguns, and shock grenades. They also have miniature robots, which are inspired from WW1 tanks, but can move a lot faster, and can avoid, and drive over obstacles much safer. Robot commands include joystick for driving the robot, and shooting with gun, and built-in camera, so the soldier could see, where the robot is. Goldshirts, similarly to Blueshirts, were in a dreadful state for most of the time, and only recently got turned into a professional unit. However, way more funds went for their training, and they were able to reform their structure faster than Blueshirts. Also, unlike Blueshirts, who focus on a professional army, Goldshirts use conscription. Goldshirt units usually are very religious too. For most of the time, Goldshirts simply served as a police force along with real police, and mostly didn't participated in the scramble. However, a few divisions were sent as a foreign troops to Africa too, and Central American navy, and air force assisted them a bit. Those units gained a bit of a fighting experience, which later was given to the units in home. Just like most of the soldiers of Commonwealth, Central American soldiers have a high morale. They are highly nationalistic, and ready to fight for their homeland. However, the lack of good equipment, and good laser rifles is definitely an issue. Soldiers from Caribbean are mostly marines, while those from the mainland- infantrymen. Greenshirts are one from the most inclusive units within the Commonwealth, along with Indian National Guard. Usually both Natives, Spanish, and Portuguese descendants serve in the army. Similarly to Silvershirts, Greenshirts have entrenched into their ideology, but their viewpoints are somewhat different, so there are a few hostilities between them. Most of Greenshirt weapons are suited for fighting in jungle terrain, as it is an important part of the Commonwealth state's defense. Weapons include recoilless rifles, laser pistols, and small bazooka- its main advantage is the fact, that it can be used by only one soldier, not two, like it was in the past models. Now, bazookas have become way more available for the army, and demand for them has boomed. Unlike Blueshirts, Greenshirts were an organized, and feared power way before Commonwealth. They often were picked for secret missions, sabotage behind enemy lines, guarding the prisons, etc. When other two superstates collapsed, and many thousands of Greenshirts were sent to the front, while the rest guarded South America itself. However, despite their good skills, and weaponry, their role in the scramble was minimal- mostly taking the western coastal ports of Africa, and assisting the Boer troops. In fact, South American navy did a lot more job, than ground troops did, including Greenshirts. Greenshirts will be ready to defend South America from any threat, and will defend their ideology from any foreign threats staunchly, so they are great for rising to power, and keeping it. However, if talking about battlefield performance, their performance is ok, but still not from the best. So, they still need a bit more training, and relying completely on them might be a bit too short sighted. Blackshirts originally consisted only from British troops, but nowadays they have troops from almost all corners of the Europe, and they have many separate branches, which command their own divisions. There are even some neo-pagan branches, like Icelandic, and Norwegian divisions, over which Goðar also has strong say. Those branches are often arranged by local autonomy leadership. However, there has been recently an issue with unrest between Blackshirts, especially between Irish, and Red Cossacks. They are usually armed with sniper rifles, which have attached laser pointers on them. Their armor is sometimes called as ''power armor'', although it isn't a ''real'' power armor, and rather is just an usual armor, which is enhanced to work similarly to a power armor. It is in black color, obviously. Also, some from the divisions are armed with sticky grenades, which are an improved design of the old ones- unlike old sticky grenades, it is hard to make them stick to you, before you throw it- when you pull out grenade's ring, grenade's paper package falls off, and grenade itself gets revealed, and can be safely thrown at enemy tanks, or buildings. Unlike some of the other paramilitaries, Blackshirts were already a considerable force even before the military reforms. It could be said, that the new change affected them less, as they just got better weapons, and armor. However, soon their skills would be tested in coasts, and fields of Normandy. At first, there were only British troops in this unit, but as their goal was a pan-European federation, soon conscription began in the newly conquered territories, and new French recruits soon flooded in, along with German, and Dutch recruits. However, British remained as generals of divisions, and in charge for a long time. It could be said, that those units experienced the most harshest conditions, and losses, as they often had to engage in clashes with many partisan raiders, and face army of two remnant Enclaves against them- it was a real challenge for them. They got pushed back at first, as they had fewer numbers, but later their better weaponry, and iron discipline of the commanders brought them victory. Blackshirts usually have a lot of manpower available, as their territories stretch all the way until Urals. However, if compared to some other Commonwealth states, their population is still a bit lower. So, although in war time they usually have a ''service by requirement'' policy, in peace time, it is ''volunteer only''- Conscription in peace time was considered for a while, but Kayden decided to focus on professional soldiers instead, and resort to conscription only in the most dire situations. Those units are perhaps one from the most zealous units from all Commonwealth troops, and sometimes even Renier, and Supercomputer Tom is afraid from their zeal. Only Ossewabrandwag has a full control over them. Usually idea of a retreat is considered shameful, and only in a few cases they would flee from the battlefield. If one of them gets killed, other division members have a duty to avenge them. Most of Stormjaers are armed with basic Commonwealth weapons- laser rifles, laser pistols, laser sniper rifles, and grenades. However, they have also a special trick in equipment- plasma mine. It is hard to found by a metal detector, and it can usually cause a high blast. However, those mines aren't that much used against enemy soldiers, but rather to blow up things like railways, warehouses, bridges, etc. Also, in some cases, those mines might be dangerous for Stormjaers themselves. Even before decentralization process, there were units like this, but their numbers grew a lot after that, especially in the first months, when there were doubts, that regulars could protect the border well. Also, Ossewabrandwag's rise to power is deeply connected to the increasing amount of paramilitary power, and it could be said, that it is kind of like a personal army for them. Eventually, paramilitaries outnumbered the regular South African army. However, most of them actually were weaker than regulars, and rather suited only for defense, and protection of law. Only a few paramilitaries are as strong as Stormjaers. Stormjaers had a strong role in the Scramble for the World- they often cleared the way for regulars. In peacetime, they usually keep law and order in South Africa, and are usually the elite units, that are sent out, when protests, or strikes begin. Most of the Stormjaers are Boers, but Namibian Germans, and some others are allowed to enlist too. Meanwhile, although they have an iron discipline, good equipment, and they are very effective, they have a major issue- shortage of manpower. While Africans can be conscripted in regular army in a few cases, this isn't the case with Stormjaers- it could be said, that they are one from the most homogeneous units. So, despite the overall good performance, lack of manpower might become a big issue. Pacific Corps are described as ''the best marines available'' by Supercomputer Tom, and they have often helped to pull off complex island invasions, and secured ground on the coast, and sailed with boats inland, and held territory. Also, some of the Pacific Corp soldiers are females, especially marines. Pacific Corps are typically marines, as Australasian Confederation prioritized island hopping strategy. Marines are mostly armed with sniper rifles, or long distance rifles. Due of that, they are effective from far away, but less effective from mid-close range, as reload time is a bit slower. Their uniform is similar to NCR ranger clothing, but a bit more like an armor. They also sometimes wear slouch hats too. Pacific Corps were formed back in the late fifties, when Commonwealth still wasn't there, and it was less decentralized. At first, it was mostly a cannon feeder in Disputed Zone, and something like police in Pacific Frontier. However, later they were starting to finally receive proper training, and equipment, and situation improved gradually. When other two superstates collapsed, Pacific Corps had turned into a professional, and large group, which was ready to strike. They relatively quickly captured New Guinea, considering all the jungles there and there, and also took Philippines fairly quickly. One of their moments of fame is raising Australasian flag over Mount Fuji. Australasian divisions are usually very trusted by Tom, as they usually have an iron discipline, and high morale. They are usually the most effective in fast operations, and attacks, in order to surprise the enemy, and gain an easy victory. In longer battles, however, they mostly assist the soldiers from far away. Republican Guard is the paramilitary unit of Middle East. Its main purpose is to guard the President in peacetime, and join the regular army in war time. A lot, if not most of the Republican Guard uses horses as a secondary transport. However, there are way fewer of those, who use them in battle, and they mostly show up in military ceremonies. Although there are religious parts of the Republican Guard too, most of them are secular. That said, Israeli units are often considered to be one of the best of Republican Guard's units. One of the weapons of Republican Guard is the hooked, long Arabian dagger. It is a symbol of status, and useful in close range, obviously. 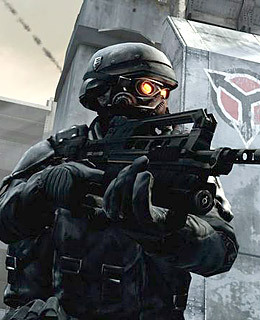 They are also armed with rapid-firing laser rifles, which have two modes- semi automatic, and automatic. Their usual uniform is a white robe, along with a few pieces of armor, and a turban. Republican Guard was formed shortly after the creation of Middle East- a Commonwealth state. However, for the most of time, Boer armies advanced in Arabia, and Republican Guard, along with Arab cavalry, started to become more active in the middle of the Scramble for the World. When they met with enemy factions, their performance was fairly good. Republican Guard can usually cross incredibly large amounts of land in a short time, due of the fast transport- camels, and horses are still beneficial in places without good roads. However, one from Guard's tactic is also shock tactic, and sudden attacks against weak points of defense- most of the times the Republican guard will try to not engage with large army formations, but instead strike at smaller units. But there is an one big issue in the Guard, and army as a whole- corruption. There is also a strict hierarchy and favoritism, so there is also a lack of good leaders within army. It also has a hard time trying to keep away the dreaded desert raiders, which often attack travelers. Steppe Archers are armed with modernized crossbows- instead of arrows, they shoot explosives, and they are a fairly quiet weapon, if compared to rifles, even laser ones, because they still cause a bit of a noise. They also have laser machine guns, which look similar to older models with bullets. Despite the outer look, they are actually pretty modern, and one from the best Turkestan's tech. Most of the other equipment is pretty usual for the Commonwealth, though. At first, most of the Steppe Archers were soldiers of local groups in the wasteland, and large authorities over it. When Arab, and Boer troops reached Turkmenistan, there was infighting between them for a while, but eventually a government in Ashgabat was formed, and capital was destined to be Almaty. Australasian, and soldiers of the new Chinese army came from the east. Although Chinese soldiers wanted to keep Turkestan for themselves, it was already drawn in the future map, that it will be a part of the Turkestan, so it was transferred to the Turkic people after world was split. Although Steppe archers were formed during the Scramble for the World, they actually engaged in conquests only at the end period- Turkestan was one from the last Commonwealth states, which was taken. So, for most of the time, they actually tried to police the new territory, what they held now, but still gave them a bit of a military experience, as local raider bands were fairly hard to deal with. Steppe Archer morale is usually high, and it becomes even higher, when vodka is added. However, other Commonwealth generals have often said, that ''Steppe Archers lack cooperated discipline''. In other words, Steppe archers are rather suited for work in small battalions, than large divisions. For the same reason, it is easier for them to wage defensive, and partisan warfare, than offensive warfare. Their armor also isn't the most modern either, and some from them actually have only army coats. Blueshirt Shock Divisions are the elite troops of China, and serve the Commonwealth well. Some part of them also serve as Duan's personal guard. They are typically armed with laser AK-47, both shock, and normal grenades, laser pistols, and usually have white, and green uniforms. They also typically wear sunglasses, face masks, and winter hats- In winter, snow hats can protect head from the cold, and in summer, it can protect eyes from the sun rays, but as those things look kind of stylish, it could be said, that it has become something rather like a trend between Chinese soldiers now. However, some of the soldiers are more poorly equipped, like the soldiers of Qinghai clique - although it has about 75 000 men in its army, most of them don't have laser rifles, and either use outdated PMT RNGOC's poison guns, AK-47, Warlord Era's guns, or even swords. Also, cavalry is widely used, along with cars, as supplies of fuel are still scarce there. When Australasian soldiers took Beijing, a new Commonwealth's member's government was formed. At first, it hadn't got any regular army, and most of the soldiers, who were in the government's territory, were actually Australasian soldiers. However, in the last months of the war, a professional force was already formed, which highly benefited from the experience of the former RNGOC soldiers. Although they weren't able to held off both Enclave advances at first, they slowed them down quite a lot, until Australasian soldiers arrived, and defeated rogue soldiers from former RNGOC's enclave. Duan congratulated them after the decisive battle. Most of them have served some time in the RNGOC's military before, so they usually have a lot of war experience. However, there are newbies in the shock troops too, and not all of the old RNGOC soldiers were recruited in them- some of them were purged after the completion of Commonwealth. Unlike the other Commonwealth states, robots play a way bigger role in Siberian army- in fact, it could be said, that robots are the majority of Siberian army. It certainly is a large advantage. Most of robot soldiers are armed with relatively light rail guns, although heavier ones are also an option. Their metal can stop quite a few bullets, but not all of them- some bullets still penetrate the metal armor like butter. Still, armor like that is better than nothing. Armor is not as heavy, as someone would expect, however, as heavy armor would make it hard for robots to move, so it is lighter, in order for robots to move quickly. Their mechanical vision, just like human one, can worsen over time, but it takes a longer period of time. Until Commonwealth was established, Siberia hadn't got a standing army. When it was time to create it, however, there was an issue- severe lack of manpower. Most of Siberia was pretty desolate place, and one from the least inhabited states of the Commonwealth. Aykhan came up with a solution- soldiers would be robots, as they would be easier to make, and train. Most of other members of the government agreed with that, and the production of robotic soldiers began. However, amount of the robotic soldiers has now grown to more than 300,000, and it is a pretty large amount for a state like Siberia. For now, situation is stable, but what would happen, if robotic soldiers would rebel under Aykhan? On average, robot performance is better than a human one. They can also work for a longer period of time, and fight better in night too. Their planes, and ships also are better armed than human ones, and in future, they might become a serious threat for the Commonwealth. Some of the robot soldiers actually protect the communities of indigenous people - either towns, or reservations. So, it could be said, that in some way, robots are doing most of the hard work of Siberia. Ninjas are a powerful paramilitary group, which often is idealized by many youngsters. They also serve as a personal guard of the President-Governor. After a short decline, due to fall of the RNGOC, they have started to recover again. Although majority of the Ninja weapons consist from guns and pistols, they still use shuriken stars, and short swords for a melee battle. Some of their weapons are miniature plane versions, which are full with explosives, and can be thrown with a hand. However, unlike with paper planes, their direction is straight. When Australasian troops landed in Japan, Misao's enclave already had a sizeable force, and somewhat experienced army, so army wasn't needed to be built from scratch. Australasian soldiers armed Misao's group with the best weapons available, including laser weapons, and shock grenades, and gave him a task- to unite all of Japan. Misao accepted it, and sent in Samurais, along with Ninjas. When regional armies from the RNGOC's period were revived, there were two branches- Samurais, and Ninjas. Samurais were supposed for fighting an open war, and although they had some characteristics from Samurais, they still experienced modernization. However, ninjas were made almost purely for complicated, and secret operations. They could capture fortresses, which were located in hard accessible places, and sneak in them. Thanks to them, Japan was reunited fairly quickly, and they were on the ships too, when new Japan's army set sail to the Korea, and the rest of the Far East mainland. Ninjas are better suited for secret operations, and ''search and destroy'' operations, rather than open warfare, and they also practice psychological warfare. They are a terrifying force behind enemy lines, and in night, but when they are in an open field, they better leave the job to Samurais. Indian National Guard is one from the most diverse Commonwealth's armies, just like Indian Confederacy is one from the most diverse Commonwealth States. Its manpower pool is also one from the largest, and also has a large standing army. Indian soldiers are armed with light laser rifles, who have a green laser pointer. As laser gun bullets don't get affected by the wind, snipers are way more accurate. Green pointer can assist in picking off the target, but it is harder to see in the daytime, and pointer might make you easier to detect in nighttime, so its possibilities are a bit limited. Indian soldiers are armed with light artillery, and kukri knifes too. When Australasian soldiers were marching through Bengal, locals started to grow rebellious, and demanded "an independent stare, or otherwise there would be a war". However, a compromise was found- Indian Confederacy would be established as a state of the Commonwealth, with a pretty large deal of autonomy. Afterwards, soldiers continued to march onwards to Delhi- although it wasn't reached yet, it was declared as the new capital. At first, most of soldiers were Australasians, but when Indian Confederacy reached Delhi, Indian soldiers marched in. During the march, army managed to mobilize a lot of people, and due of its fairly inclusive nature, Indian National Guard, just as Army, continued to grew fastly in size. Due of that, Indian army managed to absorb, or defeat many smaller factions in the Indian Subdcontinent. Controlling Himalayas, Tibetan Plateau, and Afghanistan was still hard, though, and it took months to finally establish some kind of control there. Although its size is large, and morale is high just as well, it severely lacks laser equipment, and divisions sometimes lack supplies too. In fact, only a small part of Indian soldiers are actually in the military bases, and even smaller part actually takes part in military exercises. In fact, most of the National Guard has taken police's role, including secret police's- it has been deployed in large cities, small villages, and countryside. After all, with no conflict in the horizon, Indian Confederacy needs to make an use of its large army. Soldiers of Indian division advancing in Himalayas.